Despite our differences and sometimes acrimonious disagreements, we Americans remain a giving people. If you want more proof, check out the National Center for Charitable Statistics, which collects data on non-profits. The center offers a snapshot of the US non-profit landscape in its publication, "The Non-Profit Sector in Brief." The 2015 edition (which is mostly based on data as of 2013) pegs the number of non-profits registered with the IRS at 1.4mm in 2013, up 28% from 2003. In addition, about 35% of non-profits take in more than $50,000 in gross receipts annually, so this group is required to file financial reports with the IRS. Those charities, foundations, fraternal organizations and other non-profits reported $5.17T in assets; took in $2.26T in revenue and had $2.1T in expenses. The high aggregate expense number probably has you thinking, "That's a lot of checks!" Indeed, it is. Bankers care about this in particular because non-profit checking accounts and other deposit accounts are an important source of income and deposits - duh. What may not be as obvious, however, is that non-profits represent one of the most profitable customers of community banks. They have one of the lowest costs of funds of any customer segment, and maintain high and stable average account balances. Even better perhaps, community bankers like to support local non-profits both as a community service and as a way to bolster a bank's image in its community. Many community bankers serve on non-profit boards and donate to charities and other non-profits. 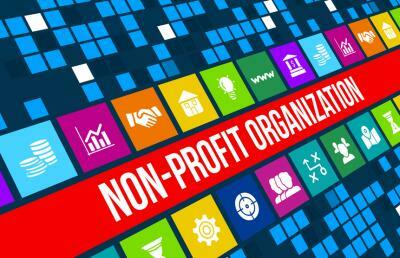 But non-profits can also be a source of revenue and a way to boost profitability. Here, targeting non-profits as potential new customers can be very rewarding. To get started, the public reporting requirement creates a ready source of information on which to base sales and marketing pitches. Bankers can query the IRS database for a list of non-profit organizations within designated geographic areas. The forms filed by non-profits, called 990 forms, are also available. These forms contain contact information, cash balances and names of board members. Using that information, banks can select potential high-value customers and aggressively market. One way to begin the marketing push is to tailor deposit products and account packages to the needs of the non-profit sector. It's important to remember that not all non-profits are alike. They represent a broad range of interests, from private foundations to public charities. These can include arts, culture, human services, education, health care, and other interests. As such, needs vary depending on focus and structure. Another way for banks to establish relationships with non-profits is to offer seminars on topics relevant to them. In addition, board members tend to be influential and successful members of the community, so a banker may find potential new customers on board rosters. Banks can also consider fee waivers or bundled solutions that offer special pricing if non-profits maintain an account with the bank. One benefit of landing a non-profit as a new customer is that the sector has been showing solid and sustained growth. Between 2003 and 2013, both revenues and assets grew faster at reporting non-profits than GDP. After adjusting for inflation, revenues grew about 31% while assets grew 33%. This is twice the growth rate for GDP, which was up about 14% during this period. Yields were up 2bp as investors positioned for a stronger jobs report. Deloitte research finds only 21% of company executives' surveyed say they feel their employees are experts at building cross functional teams and only 12% say they fully understand how employees work together within the company. Wells Fargo said it will allow its commercial customers to log into their bank accounts using their phone camera and an eye print. The technology uses the veins in the whites of a person's eyes as an authentication tool. Deloitte research finds 42% of executives expect to increase or significantly increase the use of contingent workers in the next 3Y to 5Y. Meanwhile, 43% expect to see greater deployment of robotics and cognitive technologies. A Bank Director survey of risk practices finds the risk category keeping executives and directors up at night the most is cybersecurity (77%). As such, 64% of risk or audit committees review the bank's cybersecurity plans. US Travel Association research finds 31% of employees say they put "a lot" or "some" pressure on themselves to check in with work when they are on vacation vs. 17% who said they felt pressure from their boss to do so. A Nielsen survey of Millennials finds the ways most say they will spend discretionary money are: savings (42%), clothes (35%), pay off debt (26%), holiday or vacation (24%) and do not have discretionary funds (23%). A Bank of America survey finds that in an average day, 39% of millennials say they are most likely to interact with their smartphone more vs. only 27% who said it was their significant other - crazy that the phone is that important. EY research finds by age category the different generations indicate the following likelihood of changing banks: 18 to 34Y old (18%), 35 to 54Y (10%) and 55Y or older (3%).